My son with Asperger’s has no idea of money management and that is a big worry to us. I would like to see somewhere or a bank taking on trust accounts for people with disabilities. You should be commended for your concerns for your son. Money management is extremely difficult for many people in the world—especially someone with Aspergers. There are varieties of options that can help to make your son’s money management problems easier so that you can worry less about your son’s financial situations. The options that are listed below cover a wide array of situations, but they are excellent options to solve your son’s financial issues. Encourage your son to enroll in a money management class. It is unclear if your son currently manages his own money, or if he is currently employed. This option allows him to hold on to his independence and learn money management skills in the process. It might be a good idea if the two of you attend this class together so that you can make sure that your son fully understands what is going on in the class. There are usually free money management classes available in the local community so you should look online and in your local newspapers for available classes. You can provide financial guidance until your son becomes better at managing his money. It may be a good idea if you get power of attorney over your son’s finances so that you can manage it for him. He can still maintain his independence and live on his own while allowing you provide some assistance. You can manage his monthly bills and provide him with a weekly allowance until he becomes better at managing his own money. This is a great option if your son lives near you, but this option may take some additional planning if he does not live close to you. Consult with a lawyer about a special needs trust. Lawyers are the people to go to when you need a trust. They are experts at local, state, and federal laws, and they are extremely knowledgeable when it comes to proper wording of documents. They can draft you a special needs trust so that you can help your son with his money management issues. You can set up a trust to help your son with his supplemental care (clothing, recreation, vacations, medical, etc.). There are varieties of types of trusts so consult with a lawyer to decide which option is best for your son. Your son’s money management will get better with a little help from you and outside sources. Continue to provide him with support as he becomes more financially independent each day. I am worried that my son with Asperger’s might get in trouble with the police if he is pulled over while driving. I am worried that my son with Asperger’s might get in trouble with the police if he is pulled over while driving. Once he is pulled over it might cause him to become upset and trigger a meltdown. What can I do? Your concerns are quite common for parents of older children and young adults with Asperger’s Syndrome. Many people, including law enforcement professionals, are totally unaware of the prevalence of Asperger’s Syndrome in every community. There is limited knowledge regarding the characteristics of Asperger’s Syndrome. They simply would not recognize the condition if they saw it. There are several characteristics of Asperger’s Syndrome that can cause your teen or young adult problems when facing law enforcement professionals during intense situations. The lack of social awareness, including social cues, gestures, body language, and the concept of personal space can be a big problem. If an officer of the law motions for your child to step back, he may not understand that motion. If he continues to advance, he could find himself wrestled to the ground. And that is just one example. The inability to make eye contact is an often misunderstood problem. Making eye contact is very difficult for people with Asperger’s Syndrome. Some describe eye contact as physically painful. Law enforcement professionals are trained that a lack of eye contact means the person is guilty or lying. This is very unfortunate for people with Asperger’s Syndrome. People with Asperger’s Syndrome have a likelihood of suffering high anxiety under stress. Professionals without knowledge of this condition can misunderstand this. People with Asperger’s Syndrome sometimes speak in an inappropriate tone. Antagonistic patterns of speech may come across as argumentative during a legally charged situation. Not only is it very important that we prepare our children for the world, we must also prepare our world for our children. The only way to do that is to promote awareness within your community. Here are some ways to do this. Become active in your local Autism support organization. These groups have printed literature you can share with local businesses and government offices. They also may have programs and events that help promote awareness. Tell your local law enforcement officers about your child. You can do this as part of the above-mentioned awareness activities, or you can make a visit to your local fire and police departments. Concerned citizens should be welcome at both facilities. Make sure your child carries some type of medical alert identification card. This card may be invaluable if your child finds himself in a precarious situation. Educating ourselves and those around us is necessary for the success of the Autism community. How can I get my son with Aspergers to pay attention? Many children on the Autism spectrum are plagued by attention problems. It is so common that a diagnosis of Attention Deficit Hyperactivity Disorder (ADHD) often precedes the Autism diagnosis. 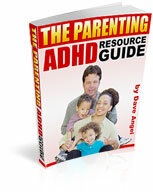 Many children actually end up with a dual diagnosis of ADD or ADHD and Autism. While medications are widely prescribed and often necessary, that does nothing to address the underlying problems. This is not an attempt to discourage the use of medication, however. There are many instances where you simply cannot take the time or mental effort needed to correct the inattention. In some circumstances, medication is the only solution. Occasionally, medication does not help the child or is simply not an option and an alternative solution is necessary. Here are some options for you to consider. Many families see great improvements in hyperactivity and inattention after making dietary changes. Hidden food allergies and sensitivities to preservatives and dyes are the usual culprits. The most popular changes families with Autism make are to eliminate gluten and casein from the diet. A quick Internet search will provide all the information you need to know about this diet. Believe it or not, physical exercise may help with your child’s inattention. Some people firmly insist that the rise of inattention in our culture is directly related to our sedentary, electronic-based lifestyle. Encourage your son to run in place, jump on a mini trampoline, or do some other type of heavy muscle work. You may be surprised at the effectiveness of physical activity. Coping skills and other interventional techniques may be the answer for your child’s inattention problem. A behavioral therapist can work with your child using Cognitive Behavioral Therapy (CBT) techniques to teach appropriate response and coping skills. If this therapy is not a possibility, you can learn CBT techniques, as well as other interventions, from books. Many parents are successfully using self-taught therapy techniques. Enlist your child’s teachers in your search for answers. Schools often have resources for special education students that are not available to parents. Develop a team approach to deal with your son’s inattention at school. Problem Solver Guide for Students with ADHD: Ready-to-Use Interventions for Elementary and Secondary Students by Harvey C. Parker, Ph.D. can be a very useful resource for school and for home. The inability to concentrate and to pay attention to the world around you must be extremely frustrating for your child. Please discuss your concerns with your child’s physician and work together to find the right plan for your child. How can I help my child with Aspergers finish college? How can I help my child with Asperger’s finish college? Students with Autism and Asperger’s Syndrome have several choices for post-secondary education. Many young adults with Autism go on to further their education after high school. In the past, trade schools or job training programs were the most likely options for high school graduates with Autism. College is no longer considered unreachable for people on the Autism spectrum. Rather, it is an acceptable expectation. Your child needs many skills in order to be successful in college. Without these basic skills, your child will struggle. Independent living skills like personal hygiene, finances, household chores, and time management are just a few of the basic skills needed to live independently and manage college life. These skills can be taught during high school in preparation for adult life. You can find books and websites to help you and your child cover all of the basic skills. Coping skills are also much needed during the college years. Any type of environment that controls a person’s time will require coping skills. In general, we do not always respond positively when we have to do things we have little control over. If your child has weak coping skills, he must improve this to be successful. Again, you can find books and websites to help with these skills. Once your child’s basic skills are up to par, then you can concentrate on the actual accommodations needed and the choice of school. If your child is struggling with basic skills, he can try distance learning via online classes from home until he is ready to become independent. Living at home and attending a local community college is another good option. Here are a few additional points to consider. You can learn about school programs and services by reading books and searching the Internet on this subject. The book, Realizing the College Dream with Autism or Asperger Syndrome: A Parent’s Guide to Student Success by Ann Palmer is a great place to start. Make sure the school your child chooses is Autism friendly. Many colleges are implementing special programs and services for people with Autism. However, some colleges are just not equipped for students like your child. Beyond the basic legalities, some schools are limited to neuro-typical students. Contact your child’s school choices to find out what they offer. Better yet, have your child contact the schools. Once he narrows down his choice of schools, contact each school’s disability services office to find out exactly what help they can offer to students with Autism. Programs vary widely. College is absolutely possible for students with Autism or Asperger’s Syndrome. The trick to success is preparation and finding a school that fits.